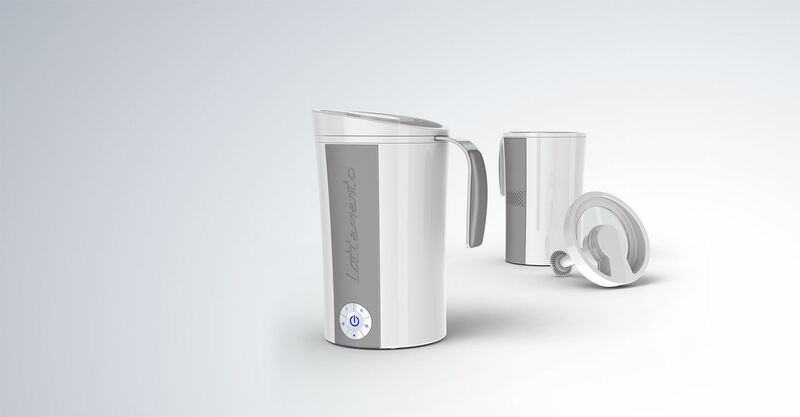 ‘Product design through innovation', this fully applies to the Latteduzio milkfrother. In it’s design CQ makes use of the patented integrated engine in the lid system. But the strength of the Latteduzio not only lies within the original position of the engine: more innovative aspects has been added in the design. The Latteduzio utilizes the innovative induction technique. This application makes it possible to create, the perfect milk foam, at a perfect temperature, in a quick and easy way. Innovation has been the key to this transformation, but nevertheless we have and want to have functional benefits. The removable can makes it possible to place the can, with whipped milk foam, directly on the table. The detachable element makes it also simple and easy to clean! In combination with the uncomplicated control buttons, everyone can create their own cappuccino or latte macchiato at home, for a fraction of the cost.